I am going to meet up with my sisters soon, in London, and I am getting so excited as we don’t often get the chance to get together with our other halves too! 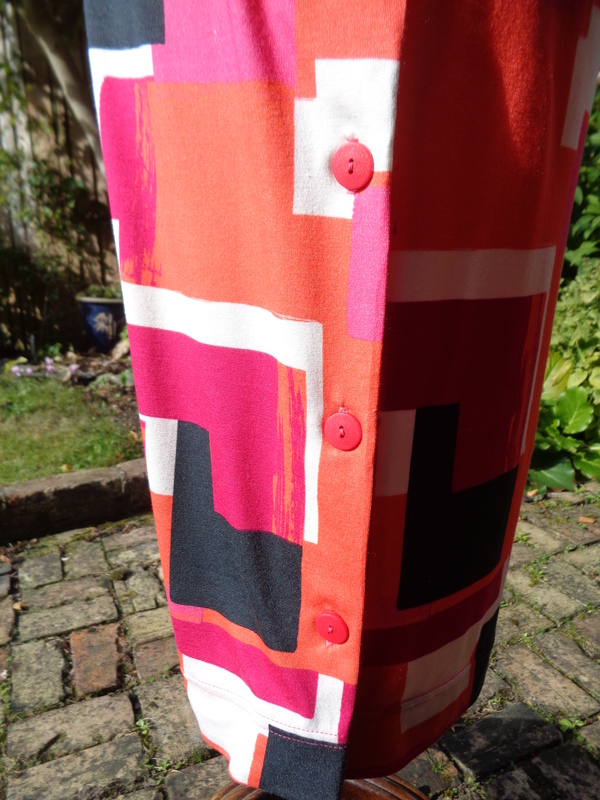 Felt a new frock was called for and just because it will be October and probably freezing cold, I wanted something bright! 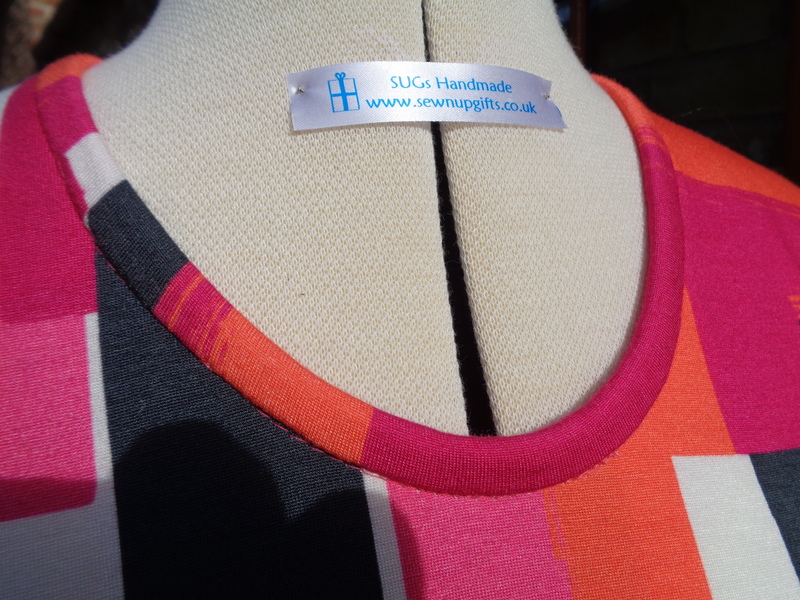 Well frocks in the shops (oh that rhymes!) are so dull in colour, or for the young things so I went scurrying through my wadges of dress patterns and found this vintage little number. I made my first version in the naughties for work and now I am free I have this version! 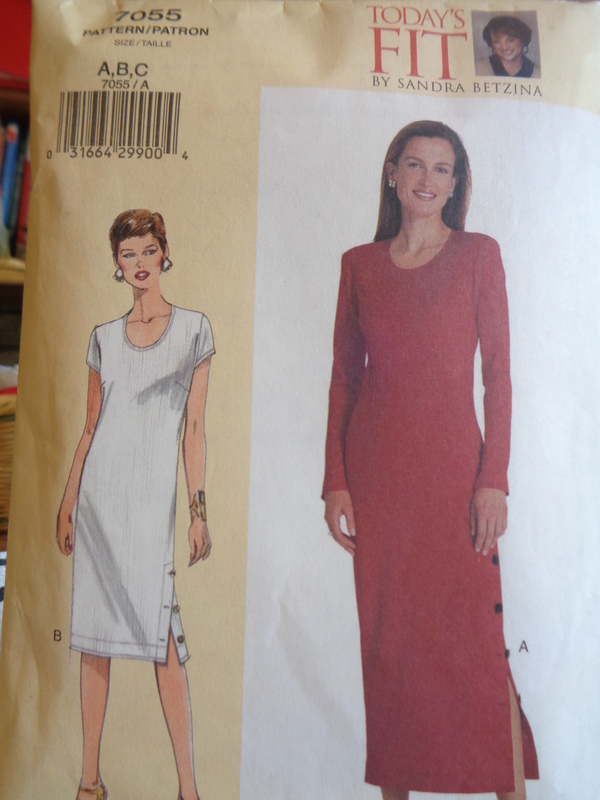 Sandra says to use a moderate stretch knit for this “easy” category dress. But as ever, I can never find the exact requirements. 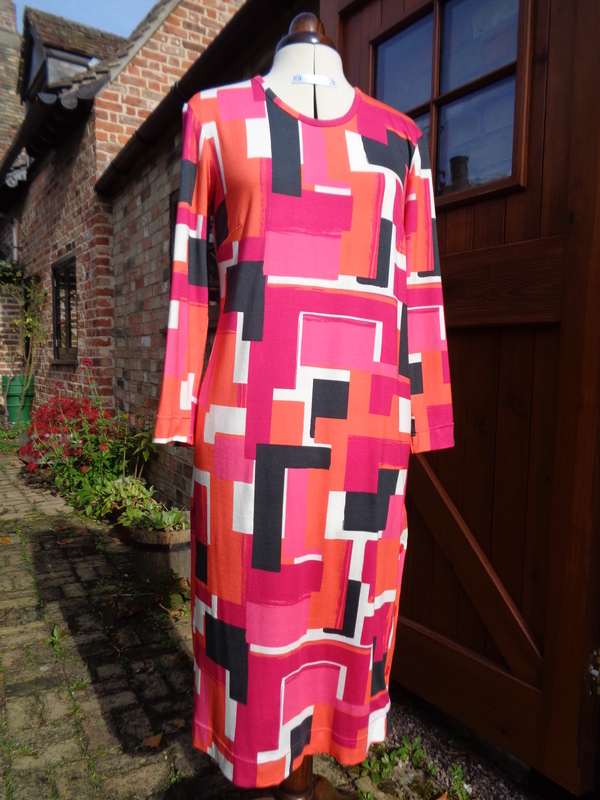 So I ordered this lovely VERY stretchy jersey knit from Croft Fabrics UK who have some lovely dress materials to order on line. I recommend them! Anyhow I decided to self line the front top and use stay tape around the neck edge and along the shoulder seam. This will prevent the whole affair sagging down to my ankles, and give more substance to the dress. It also gets around the very stretchiness of the jersey. At least that is the thought. The instructions also advise to just turn over the neck edge to finish, I don’t think this looks as nice or “finished” as using self fabric to bias bind the neck edge and then top stitch through. Just me perhaps, but if you have time its worth the extra effort. I also used a stretchy interfacing on the placket to prevent it sticking out from the line of the dress. I am so pleased with the result and it is so easy to wear! No zip to worry about and minimal crease, so I can just throw it in my case and not worry! I must add, though, that without the overlocker and coverstitch sewing machines, the whole thing would have been much more complicated. As it was, the sleeves are inserted flat and there are only 3 pattern pieces, even the front and back are cut out in a single layer so no trying to get the fold of the fabric exactly on line. Now whats the next thing in my dressmaking list of makes, I have loads of fabric burning holes in me! ← The weekend flew “past” !